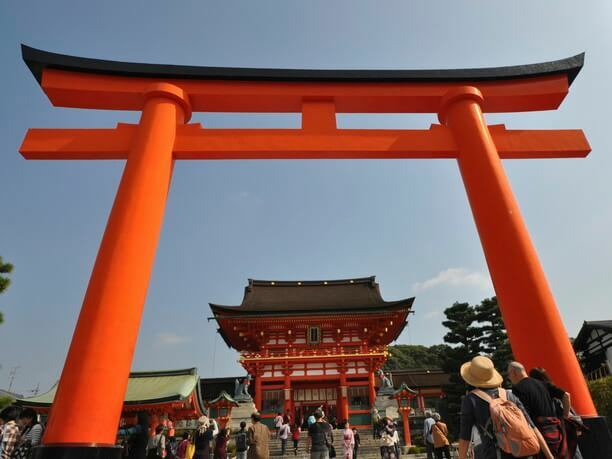 Fushimi Inari Taisha Shrine was chosen as a top of “a sightseeing spot of where is popular among foreigners”. It has a history of about 1300 years from the Nara era. It is known as a god of thriving business, bumper crops, the safety of the family, and improving the performing arts. 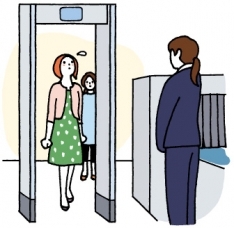 The number of worshipers coming for a New Year’s visit is No.1 in West Japan. It is also famous for “senbon-torii (a thousand of torii)”. 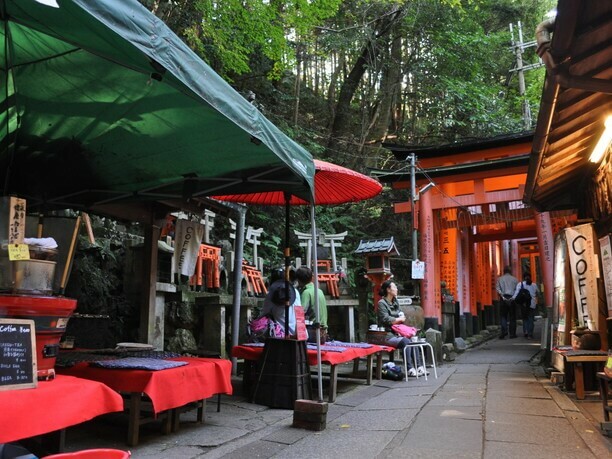 A whole Inariyama Mountain, which is behind the main shrine, is the precincts of the shrine. 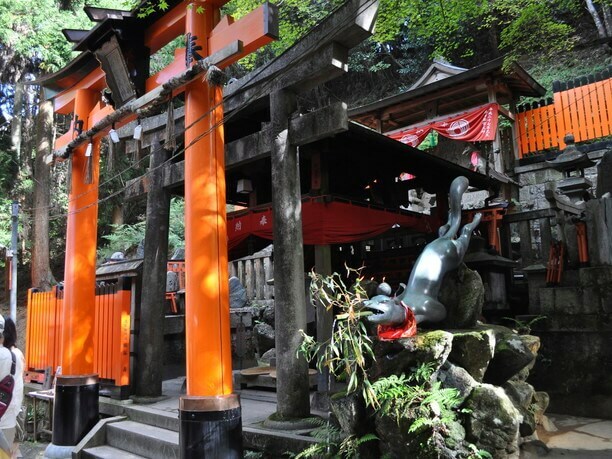 There are a small shrine and a mound in many places, and a torii spreads out in the mountain. When you pass through the big torii, you can see an excellent tower gate which is said to be an oblation of Hideyoshi Toyotomi. At first, let’s pray at the main shrine in the depths. 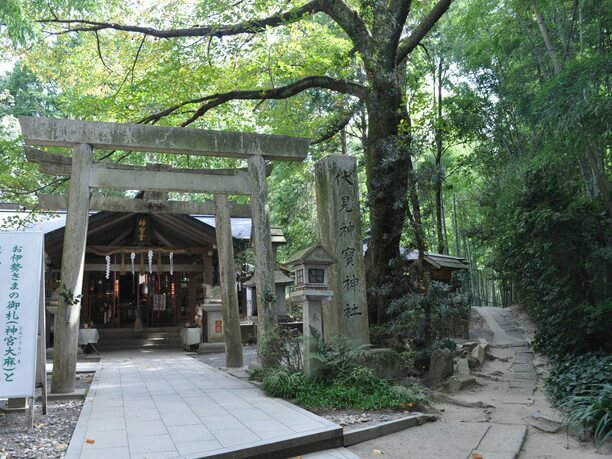 From the rear of the main shrine to the top of Inariyama Mountain, a small shrine and a mound are dotted in many places. 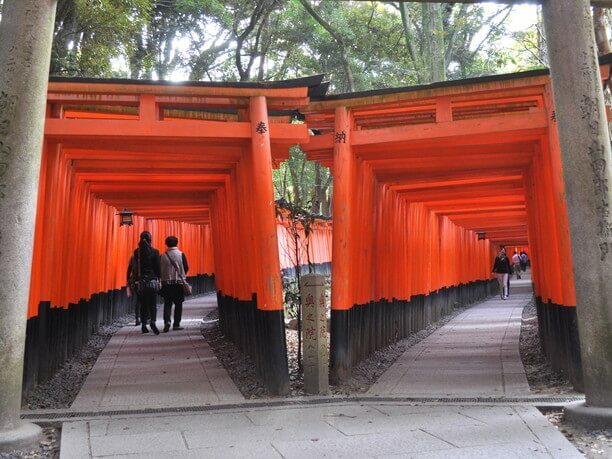 A vermillion torii follows the approach to a shrine without ceaseing. A mysterious scene of “senbon-torii” is especially magnificent. 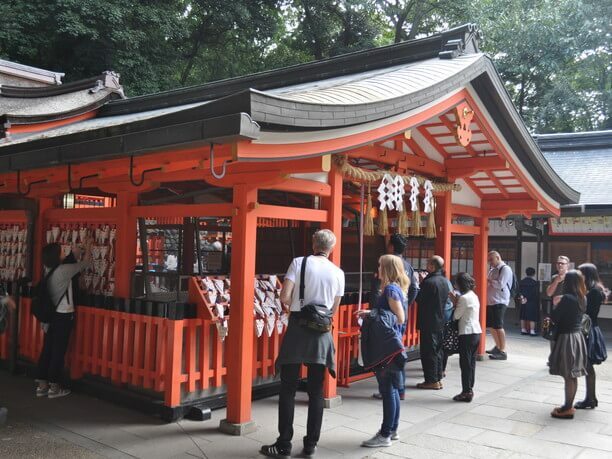 A faith to dedicate a torii as thanks to having dream comes true continues from the Edo era. 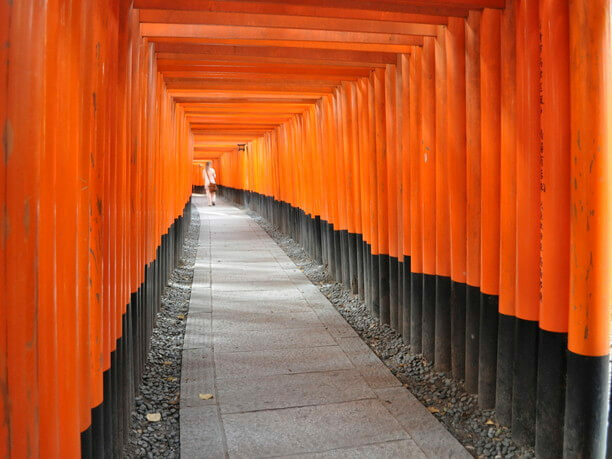 There are torii more than 10000 now. 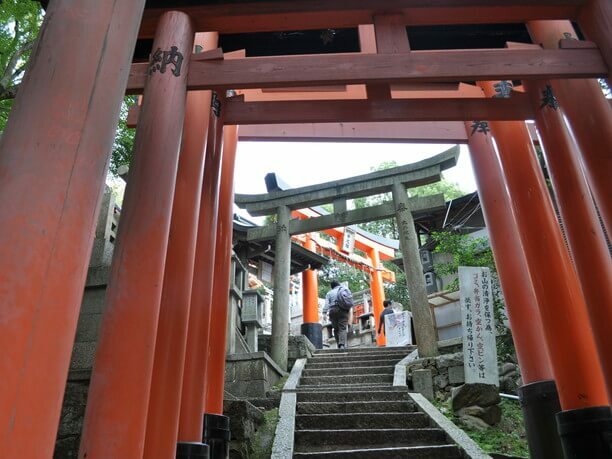 There is the deepest-placed shrine when you pass through “senbon-torii”. 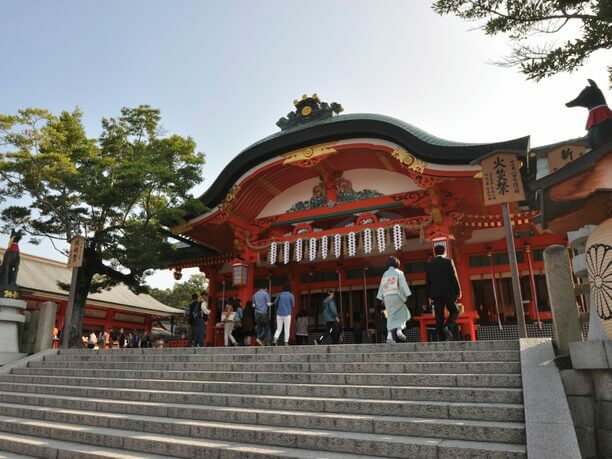 It takes about 10 minutes from the main shrine. 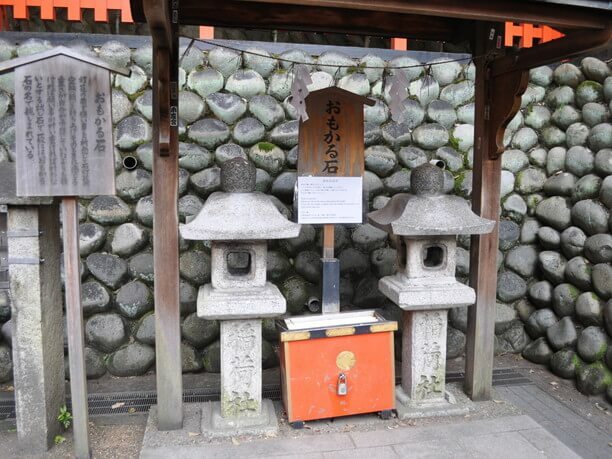 There is an “Omokaruishi” in the right depths of the precincts. Make a wish in front of a stone lantern and lift a head of it. If you felt a stone is light, your wish comes true. Please go ahead a little more even if you are running out of time. From here, it’s a fascinating point. 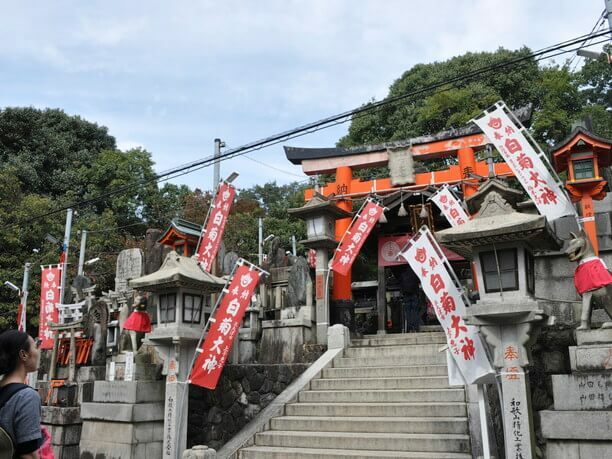 There is Fushimi KamiTakara Shrine in a clump of bamboo. You can write your wish on “Kanaebina (made with a colorful Japanese paper)”, or clap your hands in prayer beside the pond and wait for an echo coming back from the direction indicating the good luck. 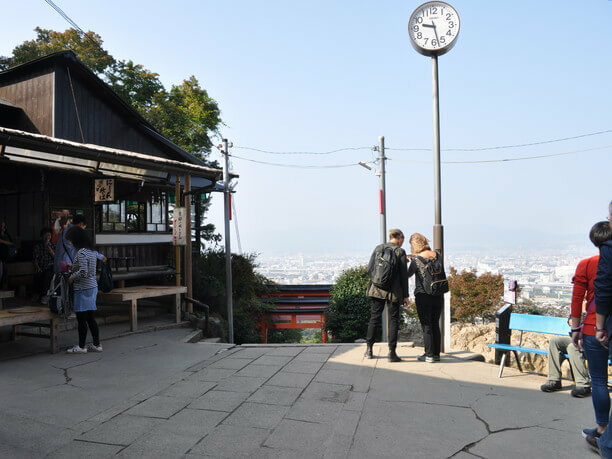 You can take a rest at the resting place “Yotsutsuji” in halfway up the mountain. 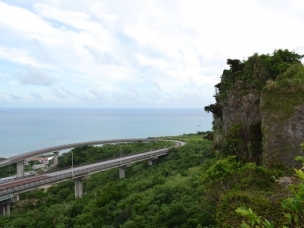 There are two routes to the top from there, but there is a steep point in the route from the left side, so go ahead through the right side. 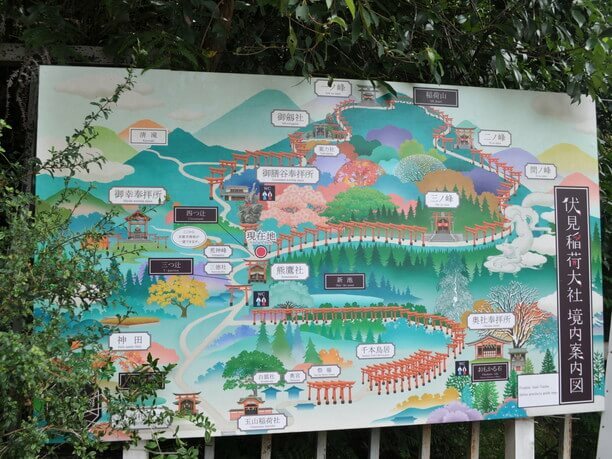 At first, you go to the third peak (lower shrine), Shiragiku Okami. It has a divine favor in business prosperity and artistic accomplishments. 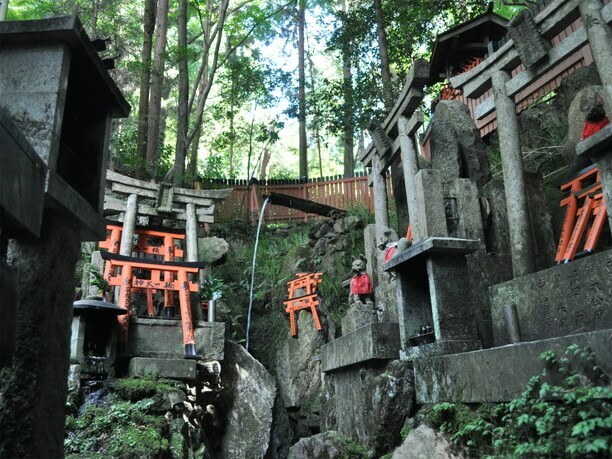 After climbing for a while, you arrive at the second peak (middle-scale shrine), Aoki Okami. It is said the stone of the pedestal was made with lava of Mt.Fuji. And finally, at the top of the mountain, there is a first peak (upper shrine), Suehiro Okami, a god to open in everything at an end. Sei Shounagon, an essayist of the Heian era, wrote in ‘The Pillow Book”, that she went up the mountain. 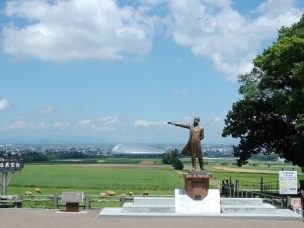 The healthy zone led by “Yakurikisha” is attractive, too. 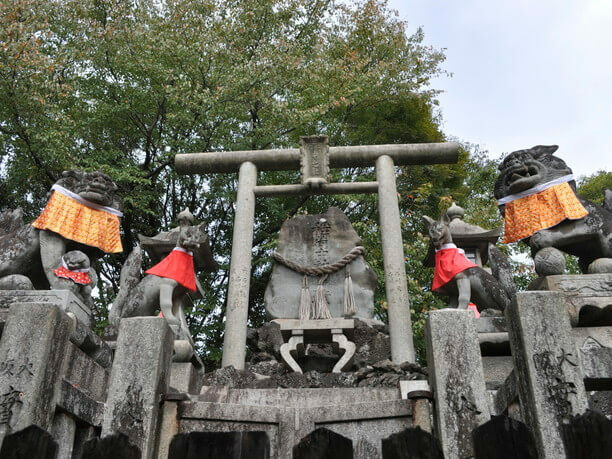 “Yakuriki Okami” is the god of being in good health, “Ishi Okami” is the god of longevity, and “Oseki Okami” is the god of voice, throat, and cough. There is a waterfall nearby, and the sacred water makes the effect of medicine better. At a tea shop “Yakurikitei”, you can drink a cup of coffee made with the sacred water (350 yen) and a boiled egg (80 yen). “Ganrikisha” has a divine favor in healing disease of eyes, foresight, and power of observation. There is “Omikuji (a written fortune)” for free, please try your luck. An admission fee is free. There is a free parking area. You need two or three hours to go around the whole mountain. There is a coin locker in the first approach. Shoes and clothes which are easy to walk are recommended. There are a tea house and a restroom in some places. 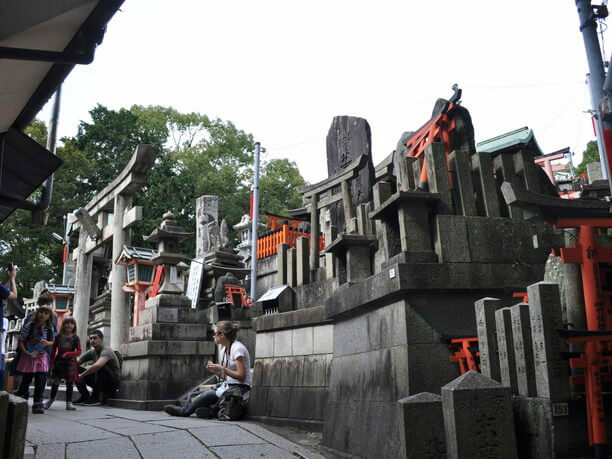 You should better visit in the early morning if you want to take photos of “senbon-torii” without many visitors. 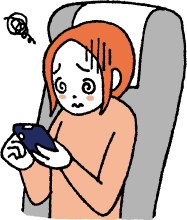 Please try your luck with “Omikuji”. Worship is possible in the night and day.